So I haven’t officially mentioned on my blog but…I’M PREGNANT! Baby number four is due in July 2017 and, now I’m over the shock, I’m getting quite excited by it all! 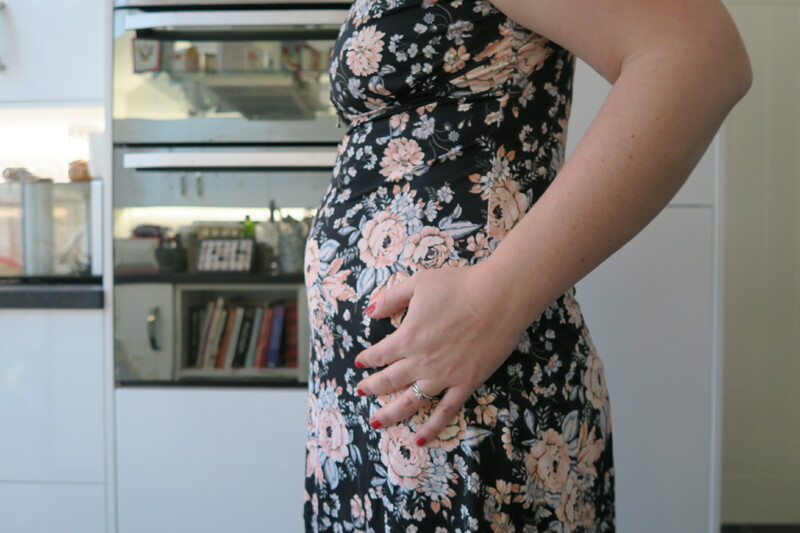 This week I’ve hit double digits – I’m ten weeks pregnant. One quarter of the way through my pregnancy already. We have our twelve week scan in two weeks time and we have opted for the nuchal translucency testing to detect the risk of baby having Downs Syndrome. This week we had our first midwife appointment and it was so surreal to open the front door to the lady I’d met with six months when I brought Elsie home from hospital. We chatted through my pregnancy booking form, general health and plans for birth. I expressed concerns over the speed of Elsie’s labour and getting to hospital in time and she suggested we bring some medical essentials to the house nearer the time incase I feel I we don’t have time to get there. Our local hospital is probably a 15 minute drive on a VERY quiet evening drive but on a Saturday lunchtime it would be around a 40 minute trip. I now have my Bounty pack and maternity notes so it all feels pretty official. Oh and they’ve jazzed up the Bounty wallets too but it would appear lessened the quality, if that’s possible! I took my first bump shot today and I’m definitely showing! Although, at six months post partum, I am still carrying some baby weight from Elsie which made it hard to tell at first whether it was just chubbiness or actually the start of a baby bump! I think you can definitely see the beginnings of a bump although when I sit down it disappears into the rolls! I’m not going to do weekly updates as I just can’t commit to it with Elsie but I will say that I haven’t been feeling the best. Afternoon nausea and some kind of weird pain in my very lower back that feels like a trapped nerve. You can read my 10-12 week update from Elsie’s pregnancy here. Next Post Blog Your Way to the Bank!